(Oshkosh, WI.) The Oshkosh Transit System (OTS) is proud to announce that effective January 1, 2011 disabled veterans will be able to ride OTS buses for free. To qualify for the free fare, disabled veterans need only present their Department of Veteran Affairs Service Connected identification card each time they board. The Free Fare Program for Disabled Veterans applies to all OTS bus routes, including Route 10 service to Neenah, WI. The program does not include OTS’s paratransit services. Disabled veterans needing assistance with obtaining the identification card can contact the Winnebago County Veterans’ Service Office located at 504 Algoma Boulevard, Oshkosh, WI 54901. 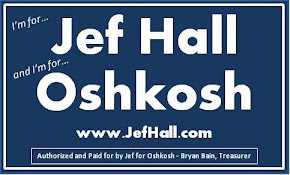 The Free Fare Program for Disabled Veterans was unanimously approved by the Oshkosh Common Council on November 9, 2010 (Resolution 10-344). For more information on OTS or any OTS services please visit www.oshkoshtransit.com or call the OTS offices at (920) 232-5340.